As a gift for their readers during the holiday season last month, husband and wife team Ilona Andrews offered up a free Kate Daniels novella for a limited time. The novella, Magic Gifts, takes place at the same time as Andrea’s book, the upcoming Gunmetal Magic and right after Magic Slays. The two stories intersect. If you have not already, I highly recommend reading the Kate Daniels series. It's one of my favorite series that I recently discovered. There are currently five books out and it's best to read them in order as the series builds upon itself. 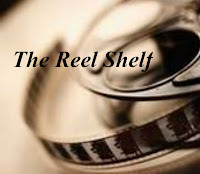 You can click on my review link which will bring the books up in order for you. Description (from Goodreads): A dinner date after a hard day at work sounds heavenly. Of course, when that date is between the Beast Lord and Kate Daniels, things don’t go as planned. Before you know it, undead are running amok, heads are being chopped off, lawyers are deployed and used with extereme prejudice, and drunk vikings are calling people out. Review: Reading about Curran and Kate is a special treat and Magic Gifts is no exception. I know when I read the Kate Daniel series I'm always craving more scenes that feature both Curran and Kate together and in Magic Gifts we get a glimpse into their relationship and in their daily lives. What was suppose to be a simple, relaxing dinner date turns out to be anything but as a battle between vampires, mages, shape-shifters, and Vikings with the mead and axes interrupts. 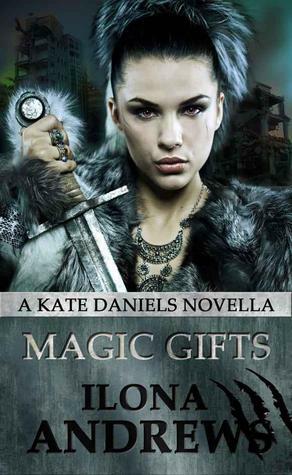 I thoroughly enjoyed Magic Gifts and read it in one sitting as there were no dull moments in the book. I liked learning about what is going on with the Merc and how Kate was going to deal with that situation. While this is discussed and touched on a bit, it was quickly pushed to the wayside while the characters faced a more prominent issue. I also loved learning about more mythological creatures that inhabit Kate's world and I made a mental note to never tick off a Viking. *shudders* Though the conflict gets resolved by the end of the book, I though it was a bit rushed and that may because the novella is a mere 100 pages. The novella does fulfill its purpose in just whetting our appetites while we agonizingly wait for Gunmental Magic (August 2012) to be released and I'm dying to know what happened to Andrea and Raphael. Words of Caution: There is some strong language and violence. Recommended for older teens and adult only. I LOVE KATE AND CURRAN! Sorry. Had to get that out of the way:) This is favorite series of mine, and like you, I'm always craving more Kate and Curran time when I read. I still have yet to read the last book (what is my problem?) so I need to pick that one up so I can be ready for Andrea's book! Glad you like this. I really want to read Ilona Andrews' books. I've heard that her Kate Daniels books are one of the best adult paranormal series. @Alison: It's my first urban fantasy series and I've yet to be disappointed. I will read this series THIS YEAR!! I will, I will! I haven't read a single book yet, but I'm already in love with Curran. He's a popular book boyfriend! **happy dance*** I must've missed your review on the Kate Daniels series!!!! I LOVE learning about new (to me) UF series! Snicker - ". . . never tick off a Viking." Sold. @Linds: You're gonna love this one! I like that novellas are short, but once I get into them, they always leave me wanting more. I haven't read this series but I've heard good things about Curran. Gah! I haven't read this yet! I remember seeing it at Christmas, but I never pit it on my Kindle. I love me some Kate and Curran. What's this Cat Adams series about? It's listed amongst some of my very favorite urban fatasy, so it sounds like it'd be right up my alley. Lost Magic and Living Violet Giveaway Winners!